Fair enough. But here is my question: What else are we to use as blocks of color for artful stacking? 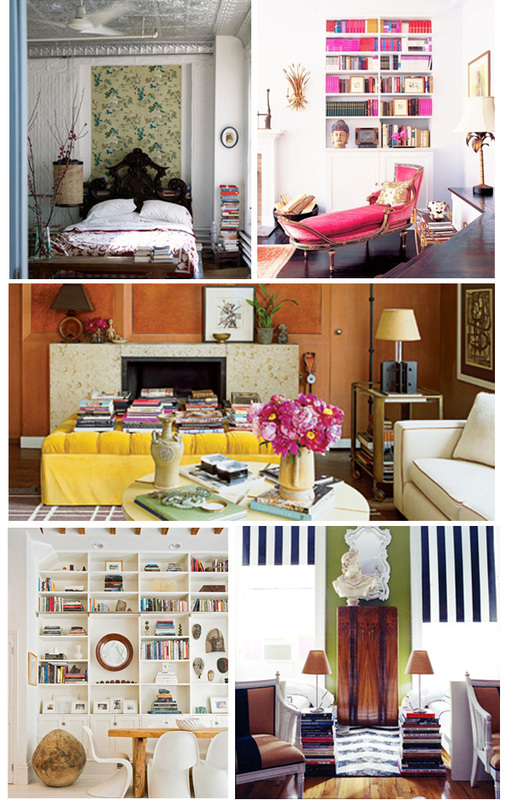 Books have always been an integral part of styling for me: they're good for color (or lack of), they're good for adding height, and they're good for adding visual interest. And, you know, why not? Books are awesome. But what are some other things besides books that fulfill all of these criteria? I would love to have other options. School me, y'all. Newer:What To Expect When You're Expecting To Choose FabricOlder:A List of Things I Like.